If you’re in the middle of a relocation, you’ll quickly come to terms with one fact – this is a messy process. Indeed, if you’re the kind of person who cares about keeping everything tidy and clean, that won’t be very easy while your move to a new home is going on. But whether you’re preparing to leave your old home, or unpacking in your new one, there are ways to keep your home clean while moving. And that’s exactly what we’re here to help you with! We’ve got a few tips on that very subject below. How do you usually do your cleaning? Once you finish looking for moving services and start packing your home, you should expect things to be chaotic. And if you’re not a messy person, you’ll feel a constant irritation because your home is not as pristine as you’re used to. But don’t worry – this is something that you can change. Although – a small disclaimer – you may not be happy with the solution to keep your home clean while moving. Why? Because when it comes to cleaning, people divide their time in different ways. If you think about it, you’ll realize that there are two kinds of people. Some people have a habit of doing a little bit of cleaning in passing, all the time. Maybe they’ll see a dusty shelf and quickly wipe it, or do a few dishes. And on the other hand, there are people who don’t clean for a while – and then just do one big, spring cleaning session. Well, if you’re the latter type – then you’ll definitely need to switch lanes, so to speak. So, with that in mind – how should you approach this situation if you want to keep your home clean while moving? If you want our advice – definitely do your cleaning in phases. In other words, clean your home piece by piece, while you get ready for moving or while you unpack. Really, you can’t just clean the whole place at once, and expect it to keep being squeaky clean while the relocation goes on. In fact, the sooner you make your peace with that, the better. 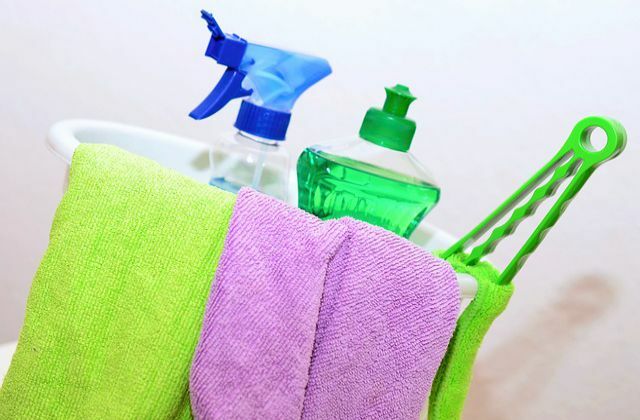 Of course, there are different kinds of assistance options while moving out there; you’re bound to run into companies that offer cleaning services as well. So, if you don’t want to take care of this task on your own, that might be a good option as well. But also bear in mind that no one knows your household better than yourself. Which is why doing the cleaning on your own may be a more effective option. When we say that you should clean your home from top to bottom, we don’t just mean it figuratively. Yes, you do need to be thorough – but that’s not what we’re talking about now. Think about it – what’s the number one way you can spot a household that’s not cleaned regularly? That’s correct – lots and lots of dust. Which is why that’s something that should be at the top of your moving checklist when it comes to cleaning. But it’s not just about wiping the dust off everything – it’s knowing the subtleties as well. 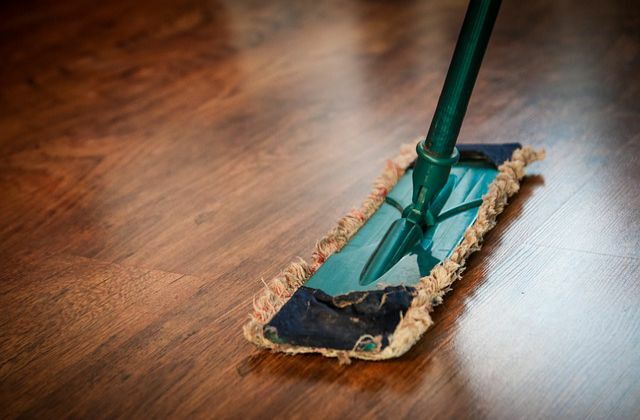 While cleaning your floors is important if you want to keep your home clean while moving, start from the top! For example, many people make the mistake of cleaning dust only off the most visible surfaces. And while doing that is logical at first glance, go against your intuition here. Because when you think about it, you’ll realize that dust primarily falls down from higher surfaces. So, clean your ceiling fans first, if you have those. And generally, wipe the top surfaces in each room first, and then work your way down. So far, we’ve only talked about the interior of your house. But whether you’re cleaning a new home after the move, or you just want to keep your home clean while moving, remember that it’s not all about the inside. You also need to make sure your yard is tidy throughout the relocation, which is also important for functionality. Especially if you’re moving in winter weather, keeping the driveway clear of ice and snow is extremely important. 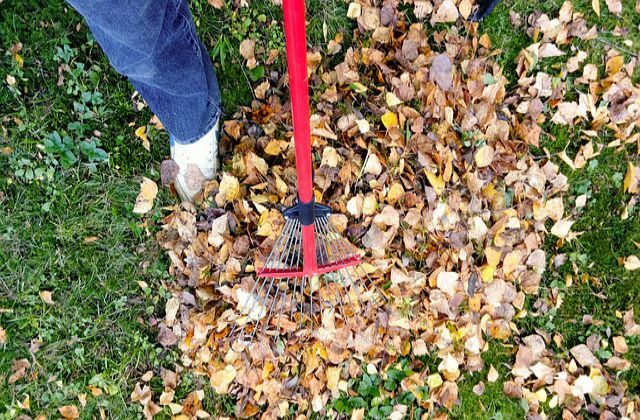 Cleaning your yard is just as important as keeping the interior of your home tidy! We’ve already mentioned how important it is to keep your home clean while moving by tidying up piece by piece, but what does that mean in practice? Well, this is where you need to be particularly clever. Think about it – during a relocation, you don’t want to waste too much time; after all, there are plenty of chores you have to juggle. Indeed, that’s one of the reasons why your cleaning needs to be quick and efficient. But there’s another aspect of that – you don’t want to spend time cleaning the same things or places over and over again, which can easily happen during a messy relocation. That’s why we recommend tidying up everything quickly, once a day. You’ll see that moving out of your old home could take up to a few days; so, clean everything once in the morning, or once in the evening before you go to bed. If you do this every day, there won’t be too much cleaning to do! If you want to keep everything tidy while you move, it’ll take a lot of time management! As you can see, while you can keep your home clean while moving, it’ll take some effort to achieve the results you want. Especially when you’ve got so many different things to do! But if you follow our advice and constantly look for ways to be more efficient in this, you’ll have no trouble at all!